Summer is here once again which means going to the beach, lounging in hotels, and an increase in your electric bills. Most of you have probably done all you can to reduce your power bills, short of the installation of solar panels in the Philippines. The increase in power consumption, and consequently, the increase in electric bills is not something you would look forward to. Luckily, there are things you can do to save electricity that is absolutely free. 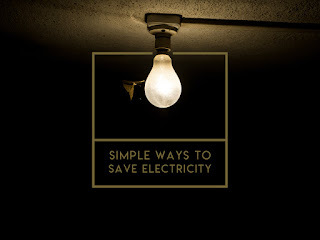 Here are a few simple ways to save electricity you can start right now and help protect the environment. Air conditioning can consume a large amount of electricity, especially during the summer months. Often, people don’t like to admit the fact that it makes up a large part of your electric bills because of the comfort it provides. While nothing beats walking into a cold, air-conditioned room after spending the day outside in the searing heat, it is by far one of the biggest drains in your wallet. Start out by doing some basic maintenance on your air conditioning unit and remembering to do it every year. Before the weather heats up, consider checking the ducts of your air conditioner and make sure that the vents are actually open. Change the filters in your air conditioner every month for best results. Keep your house cool on hot days and lower your power bills by using the energy saving option on your air conditioner. It might seem counterintuitive, but leaving your air conditioner on when you are at home can actually be more cost-efficient. Turning your air conditioner on high once you walk into your home will actually consume more power since it has to use a lot more energy to cool down a hot room. Large appliances such as dishwashers, washing machines, and dryers, even if they are energy efficient, account for substantial portions of your power bill. Fortunately, there are things you can do all year-round to reduce these costs. Run only full loads on dryers, dishwashers, and washing machines so that you do not run them as often. Run these appliances during off-peak hours, usually after 8 p.m., when the rate of electricity is lower. Doing your laundry with cold water not only allows you to mix lighter and darker shades of clothes, but also saves you energy because you avoid using the heating element. For dryers, the best way to save on energy is to let the sun do it. Nothing beats the scent of freshly sun-dried laundry. You might think that all the smaller appliances in your home don’t use up much electricity on their own, but altogether, the costs can really add up. By leaving appliances like toasters, coffee makers, and electric kettles plugged in, they can continue to draw small amounts of electricity from your outlets. Instead of manually plugging in and unplugging these appliances in your house each day, however, simply connecting them to a power strip that can be switched off can prevent them from draining energy. While the installation of solar panels in the Philippines can certainly help reduce your energy costs, it is an option not many people have. Even so, there are still a lot of ways you can help that do not cost much, if at all. Do your part in saving our environment and follow some of the tips we have for you. Even if you might think what you are doing is not much, a little goes a long way.